We are off to the wonderful cyberfunkin’ Con on the Cob! Mom is holding down the fort, and dogs are going on their own vacation to visit Ruthie, Max and Lily. We will be hanging with friends, playing a gigantic game of Carcassonne, questing in Hollow Earth, and who knows what else! I’m very excited about seeing artist Larry Elmore. Skotte (who has gone before) says he loves the general vibe of the convention. The people are positive and upbeat. There will be interesting music! 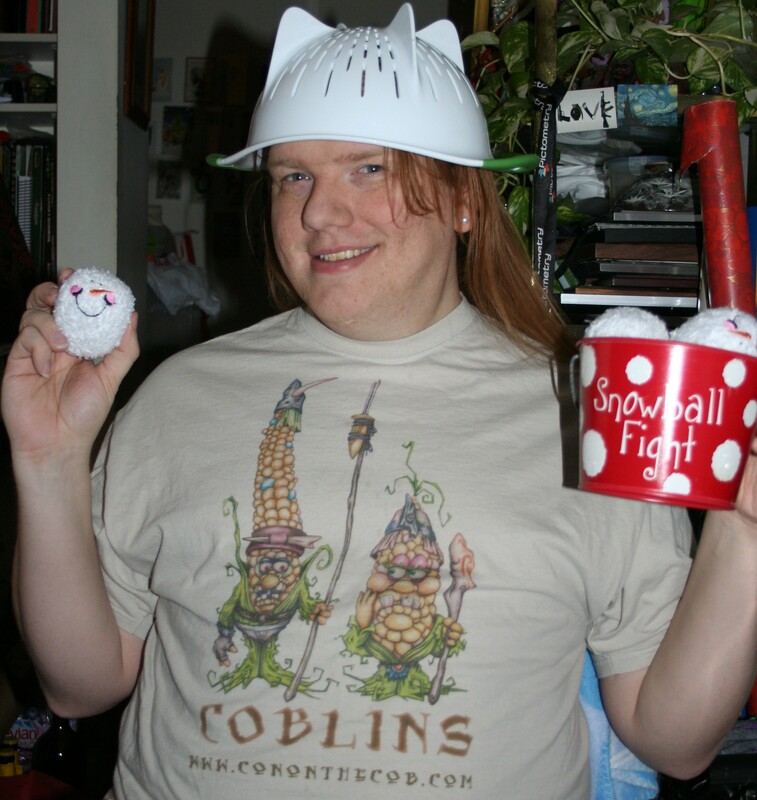 Scott is also gearing up for snowball fights in the coming holiday season, with his battle helm! The cool snowballs came from his parents, last Christmas!